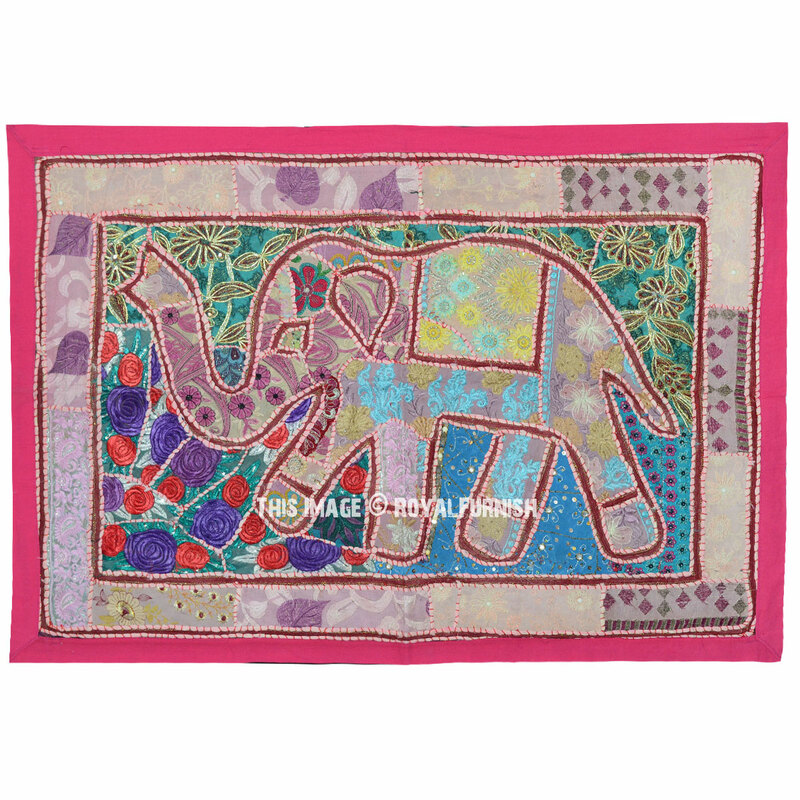 This exquisite wall decor is an intricate tapestry featuring a elephant motif beautifully hand-embroidered with artisan skill. 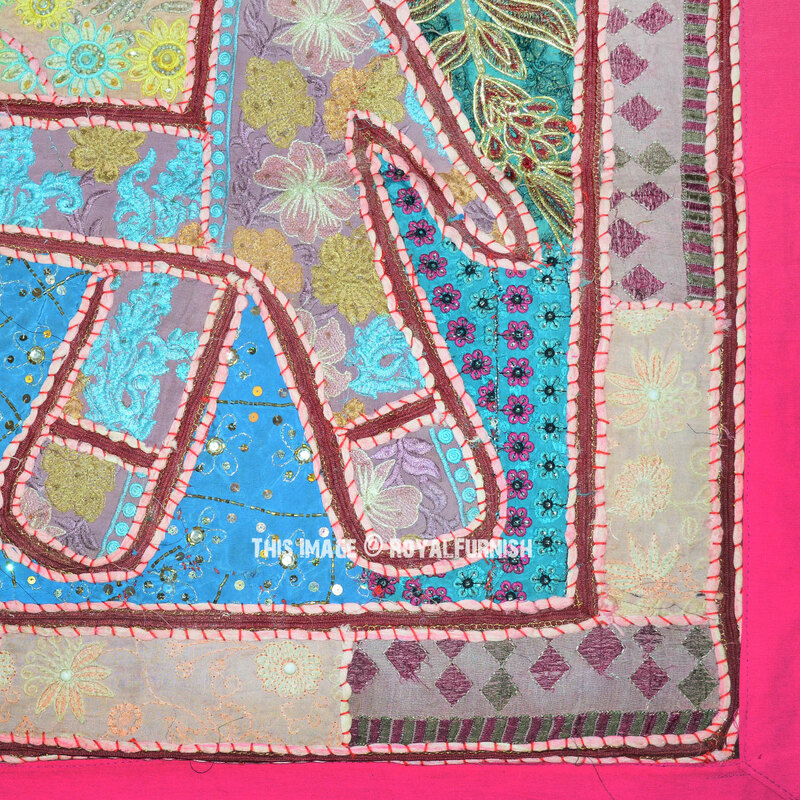 The detailed embroidered gives this lovely hand-crafted piece a glittering texture for an eye-catching look. 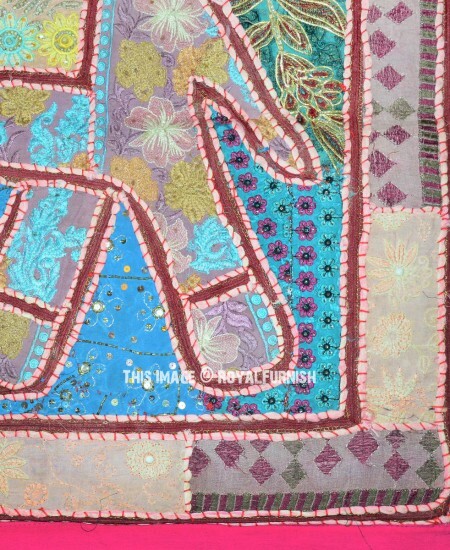 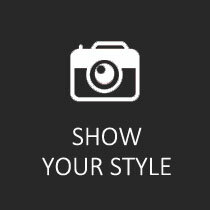 It is exact same product and more beautiful then picture but color may vary due to camera flash. 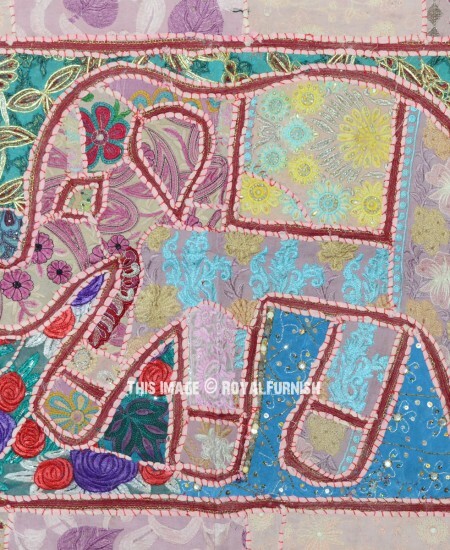 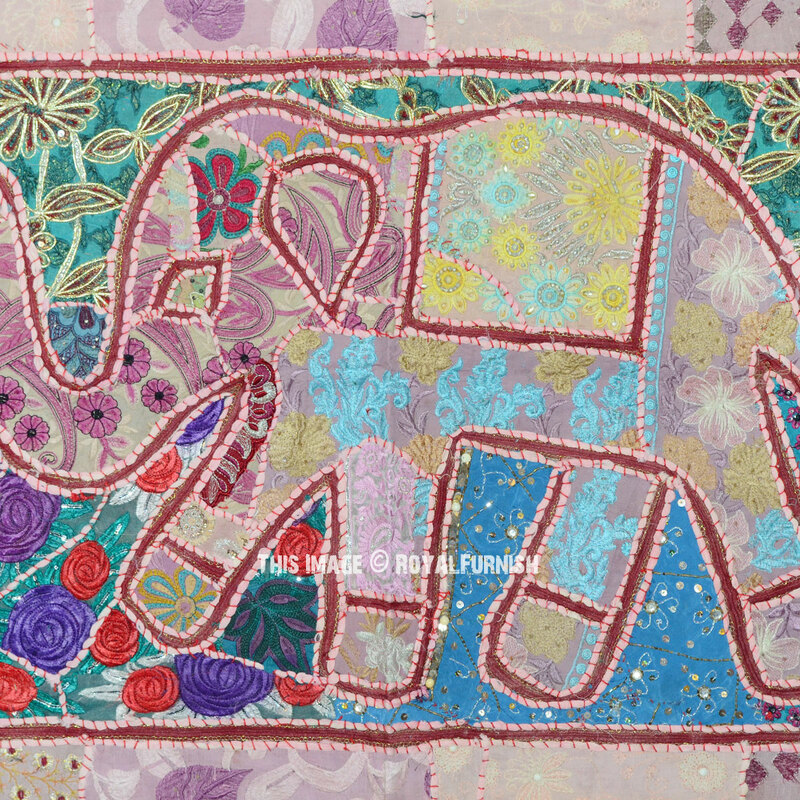 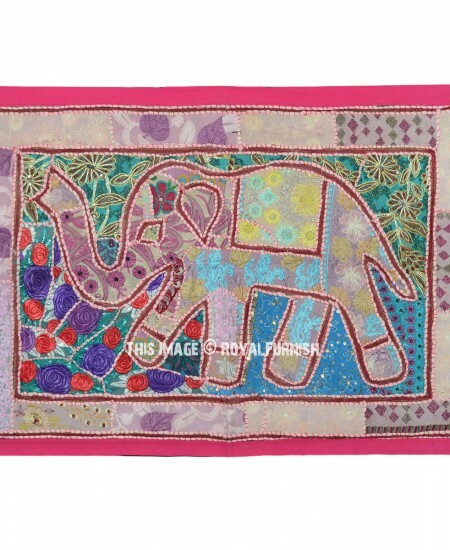 Pink Multi Handcrafted Elephant Fabric Wall Hanging 46X32 added to the cart!